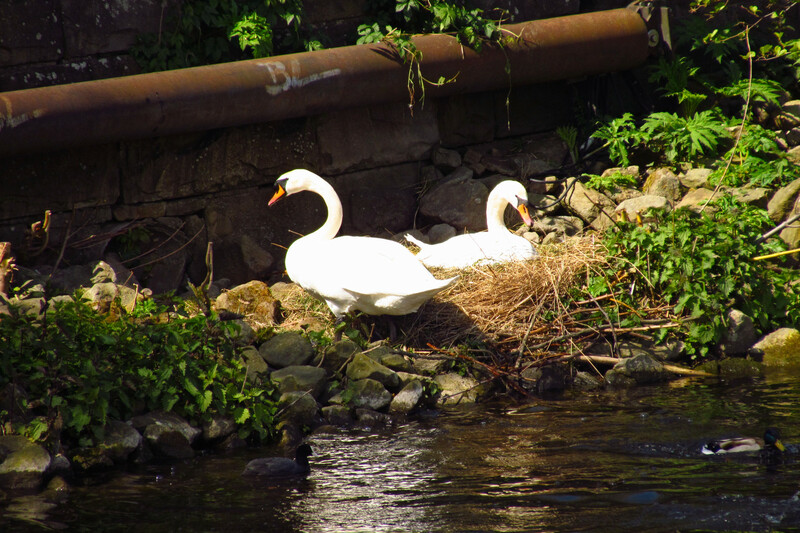 Yesterday, I went down to the riverfront because I had heard that a pair of swans had built a nest neat the Stadthalle – and there they were! You can see them from the other side of the river or from the bridge, but you can also go down there and carefully look down on the nest from above. Of course I took a couple of photos and shot some video – and there were also some surprising other waterbirds around I had never seen before here. Time to reopen the River Views for Spring!